Start your tour of this gorgeous like new home on the rocking chair front porch! 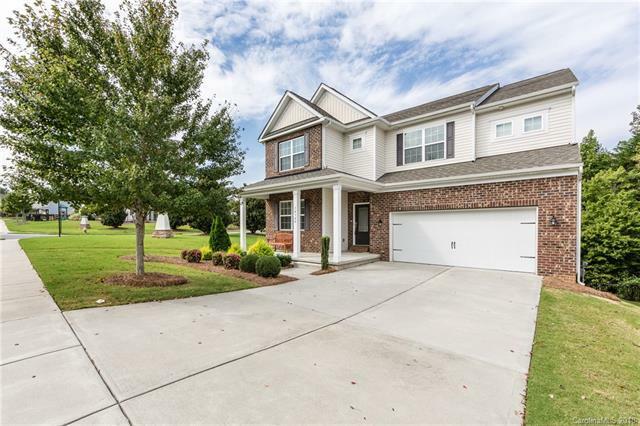 Bring the whole family with you to see it with 5 bedrooms and 3.5 baths there is plenty of room for everyone! Open floor plan with beautiful hardwood floors and gas fireplace in the family room. Formal dining room for holiday gatherings, as well as an office for the stay at home worker. Large granite kitchen with stainless appliances is sure to please the chef. All 5 bedrooms and the laundry room are upstairs for convenience. Even more room to grow with lots of space in the unfinished basement that is plumbed for a wet bar and bathroom and basic electrical wiring in place already! Dont miss out see this house now to move in time for the holidays! Don't forget to take a look at the attached virtual tour!